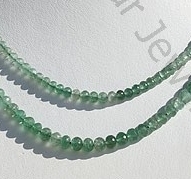 Attract happiness, harmony, and mental peace in your life with our inimitable collection of Faceted Rondelle shaped gemstone beads. 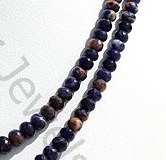 Whether you are looking to boost your confidence or seek spiritual growth, our 100% pure and natural gemstone beads are a perfect solution to every problem in your life. 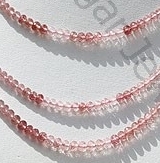 We offer a beautiful and matchless collection of finely crafted Faceted Rondelle shaped beads, including Strawberry Quartz Faceted Rondelle, Golden Moonstone Faceted Rondelle, Sea Blue Chalcedony Faceted Rondelles, Pink Chalcedony Faceted Rondelle, and Sodalite Gemstone Faceted Rondelle. 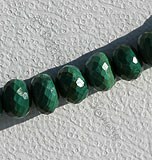 Our mesmerizing compilation of spectacular gemstone beads are very popular amongst gemstone lovers owing to its unique shape and refreshing colors, such as green, deep purple, dark pink-green, deep blue, and yellowish green. 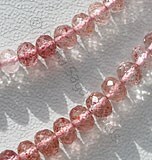 At Ratna Sagar Jewels, we are committed to offer finest quality gemstones to our esteemed customers at reasonable prices. 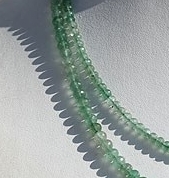 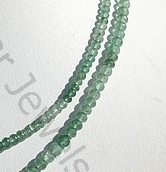 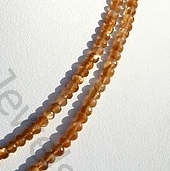 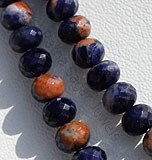 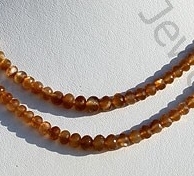 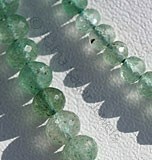 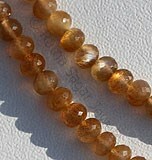 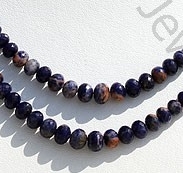 Explore our online gallery and place your order for Faceted Rondelle gemstone beads.